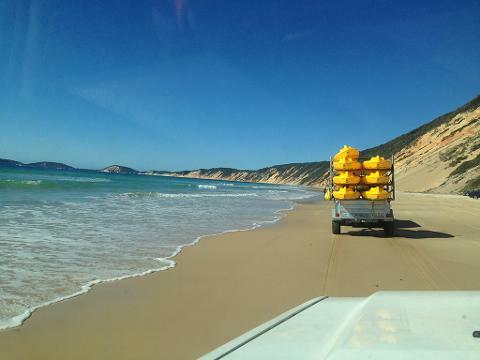 Rainbow Beach coloured sand cliff tour > all inclusive. 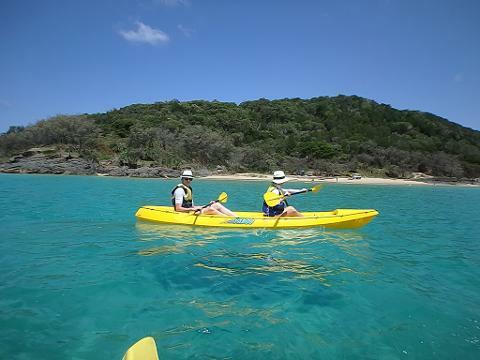 Casual guided paddle around the spectacular headland Double Island Point. 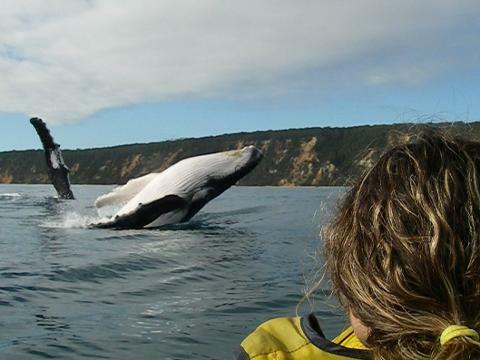 Lifetime experience > see Australian wildlife in their habitat, in the wild. 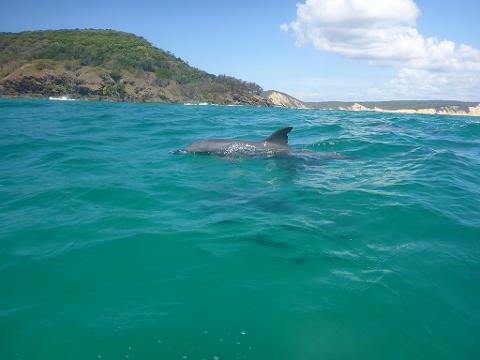 Large pods of dolphins, whales (20,000 passed up & back this year on migration), turtles, manta rays, migrating birds, soldier crabs in their thousands are all frequent. Beginner friendly equipment & location, 100% safety record. 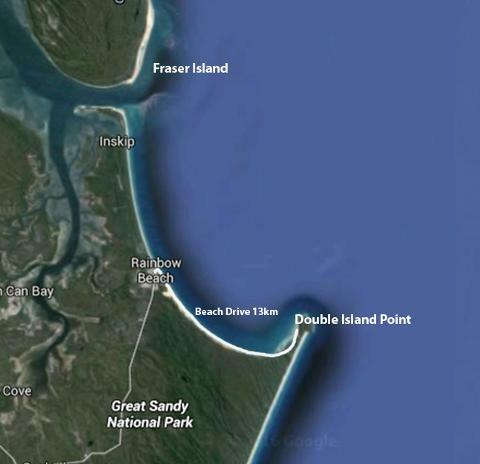 What's included: 4WD Great Beach Drive experience, equipment hire, guided kayak & wildlife tour, National Park entry fees, pictures on request. 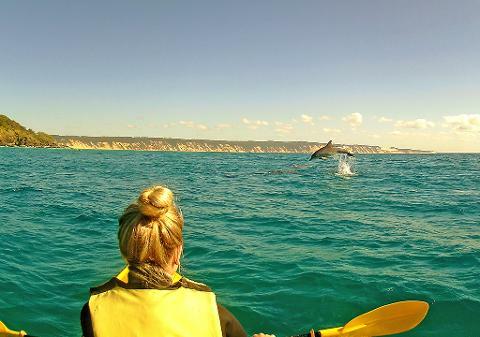 A spectacular headland buzzing with marine life & a dolphin tour in the wild. 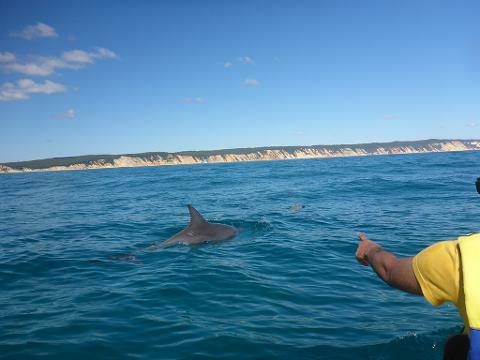 Departure: This tour departs Rainbow Beach, on Queensland’s Sunshine Coast and is located 2.5 hours north of Brisbane and just below Fraser Island.